Md. 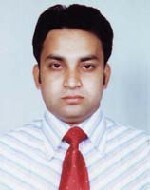 Mominul Ahsan - I am Md. Mominul Ahsan. A student of research mastres in the dept. of Mechanical and Manufacturing engineering under DCU. I am Md. Mominul Ahsan. A student of research mastres in the dept. of Mechanical and Manufacturing engineering under DCU. Join Today to follow and contact Md. Mominul Ahsan.